Yes! I love it here. A central part of the boutique Japantown Hotel Kabuki’s $31 million remodel, a new bar, opens next Thursday, January 25. Stephanie Wheeler, whose cocktail pedigree includes the bar Hojoko at The Verb Hotel in Boston and famed Chicago tiki bar Three Dots and a Dash, will mix drinks like the “Hello Amanojaku,” a cocktail for two served warm that’s made with Suntory Toki whisky, Giffard vanilla, a Chai tea blend, cashew milk, and macadamia almond orgeat. 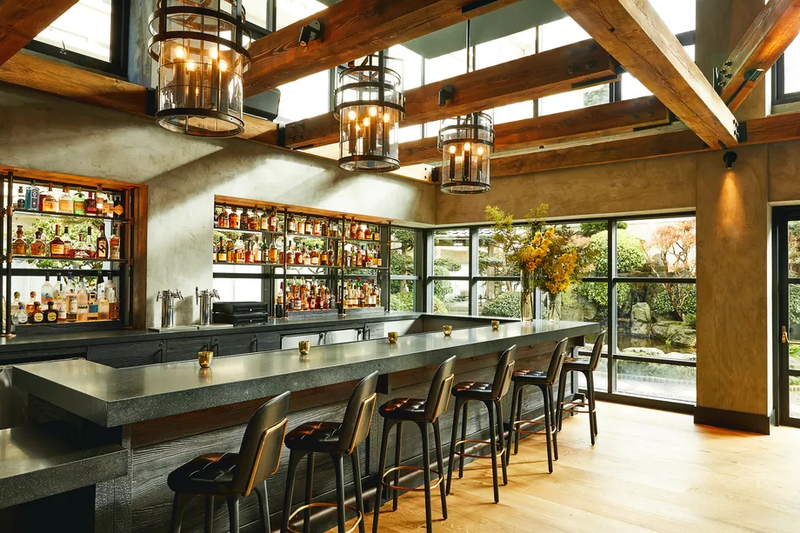 The bar will also serve Japanese and Californian food like okonomiyaki and grilled shishito peppers, and in the afternoon, will offer a traditional tea ceremony from a bar cart, with service outside in a new garden that’s opening in March. Opened in West Oakland in 2016, Stay Gold Deli has gained popularity for its barbecue, East Coast-style sandwiches, and patio on which to enjoy them. Now the business is doubling down with a second location, this one bound for Temescal: Co-owners Jason Herbers, formerly of Eli’s Mile High Club, says he’s taking over the 4935 Shattuck Avenue space that was previously home to Sacred Wheel Cheese. Herbers hopes to feed customers there by February 15. To increase capacity at its two-year-old brewery operation, Temescal Brewing plans to add new, additional brewing space at 621 Fourth Street. The new space isn’t likely to include a beer garden and taproom like the original at 4115 Telegraph Avenue, however, as proprietor Sam Gilbert has only applied for a small beer manufacturer license. Berkeley slice shop Sliver, which closed downtown before reopening at 2468 Telegraph Ave, is now teasing a second new location, this one back downtown. For “fun,” they’re encouraging people to guess the new address with a game on Instagram.